Free udemy course.......... Hey all, and welcome to the harmonica beginners course that will kickstart your harmonica life! 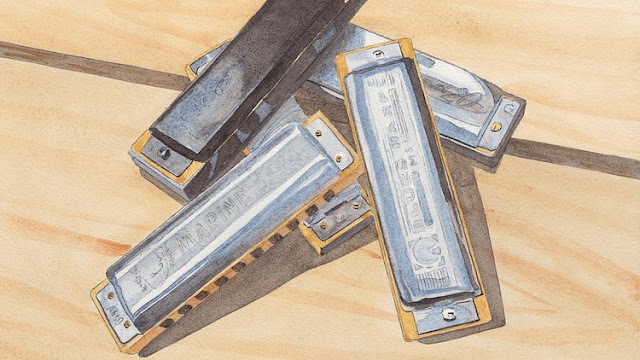 What's the Best Beginners Harmonica? Which Harmonica Key is the Best? The #1 Hack for Improving Quickly on the Harmonica. A bunch of harmonica reviews, and also harmonica performances by me and by others. ** The course featured picture (painting) is by artist Ken Powers. Check him out! Harmonica beginners who want to learn more about the instrument and have more fun with it!